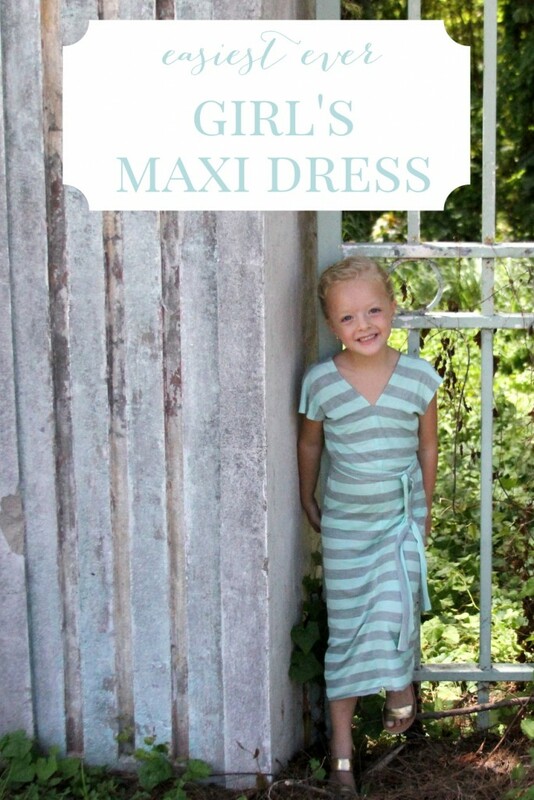 You knew it was just a matter of time until the little girl’s version of the easiest maxi dress ever was born right? And today’s the day friends. 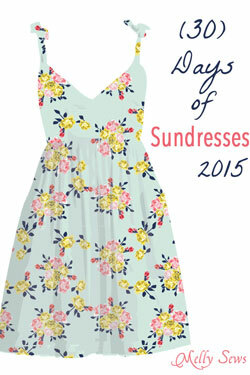 And it’s the perfect post for the 30 Days of Sundresses series that Melly Sews hosts each year (see last year’s contribution here and the one before that here)! I love this series y’all, and love Melissa. Just love all around. 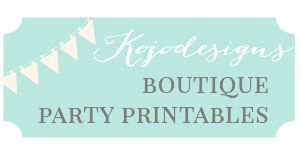 And to make something fabulous even more fun, there’s a even a giveaway involved– head on over and check that out for sure! 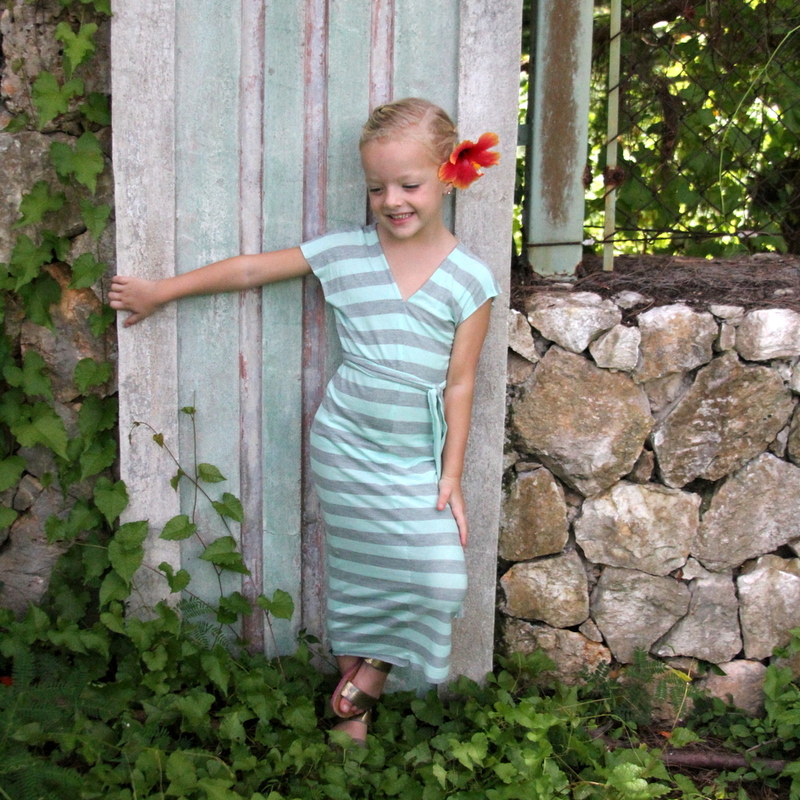 Even better, this dress is so very easy to make. Seriously, y’all. 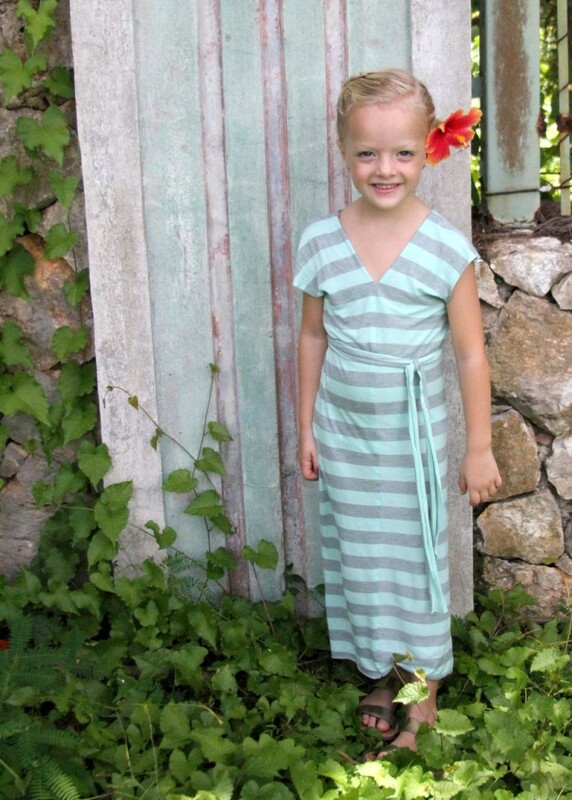 One afternoon of sewing and you’ll have an extra comfy maxi dress that any little girl will adore (Pi keeps asking me to make her another one- she loves this dress!). 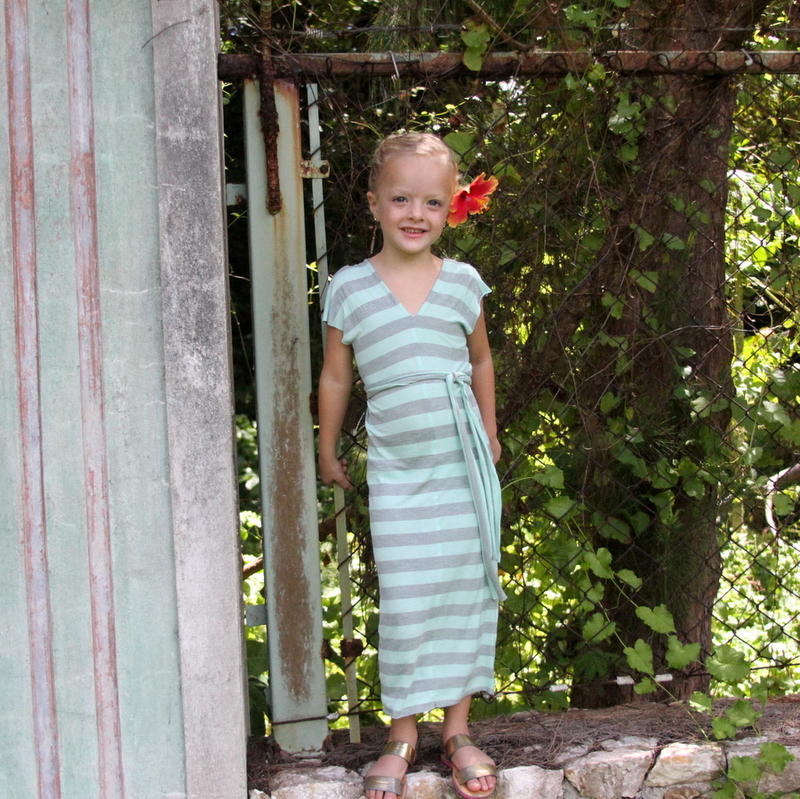 Measure from shoulder to hem (for Piper this was 32″). Measure hip circumference (23″ for Pi). Divide hip measurement by 4- approximately 6″. Cut out 4 rectangles of fabric, each one Measurement 1 x Measurement 2 in size. Measure from clavicle to where you want the front and back neckline dips to stop (for Pi, 5″ in the front and 7″ in the back). Measure from top of shoulder to where you’d like the armhole to begin (for Piper, 5″). *This was easiest to do with one of her current tank tops on for armhole reference. Lay out the four rectangles. Stack two rectangles together, right sides facing in and pin in place. Repeat with the other two rectangles. Sew the top (smaller) edges of both stacks together. From the sewn together top edge, measure down your armhole length (again, 5″ for Piper) and mark or pin. 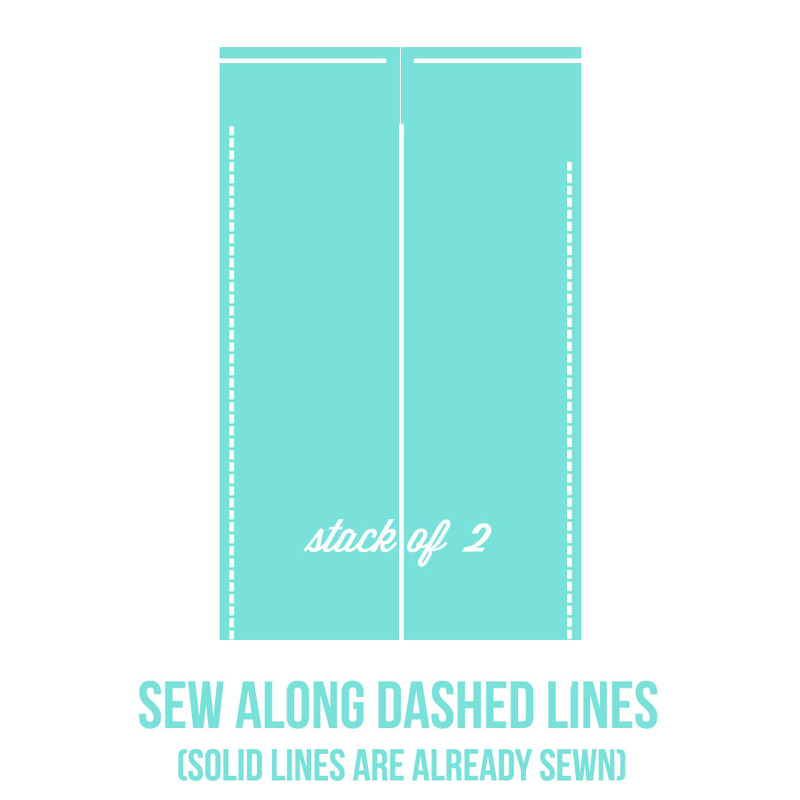 Sew from that point to the bottom edge (the short edge that is not sewn together). 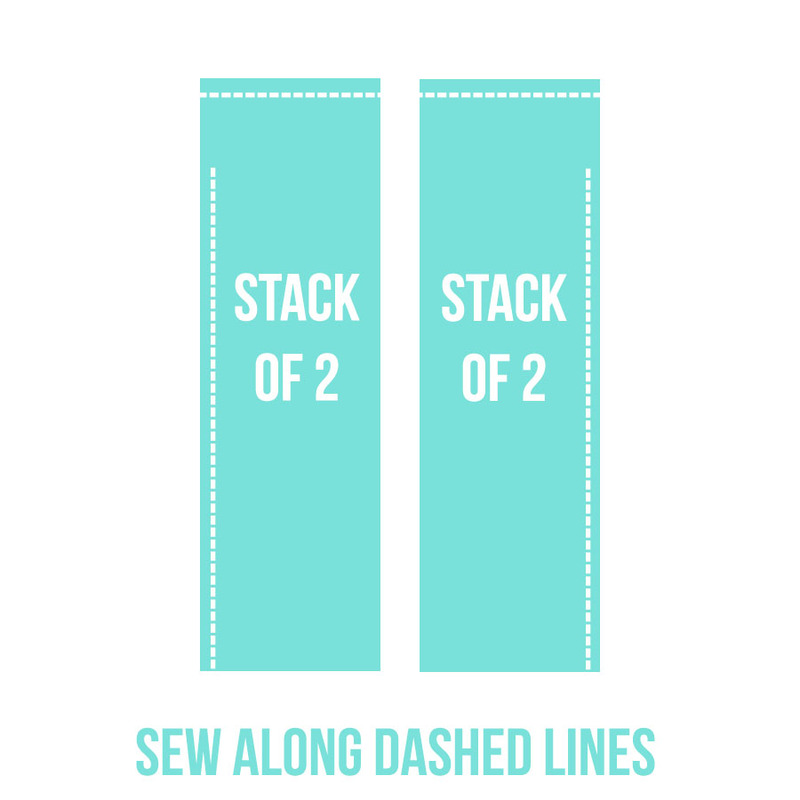 Repeat with the other stack, though, make the armhole and line of stitching on the opposite edge so that when you pair the stacks together they make one whole dress. To sew the center seams, measure down the neckline lengths (back neckline and front neckline) and mark. Open the sewn together panels and place together, right sides facing each other and pin. Sew up from the bottom edge to the neckline marks (if the back neckline is slightly lower, it is easier to slip on). Add a belt and you’re done! 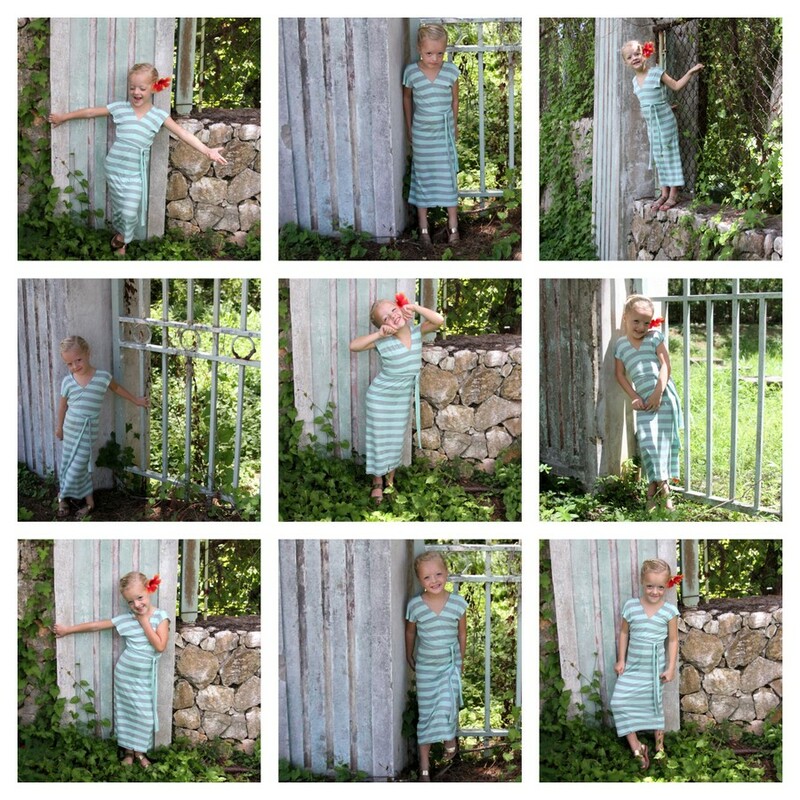 Also, guys, I just had to share some outtakes from our photoshoot. Our afternoon was an absolutely hilarious trek through the jungle. And Piper had some serious moves that the world needs to see. Such fun, friends. Such fun. 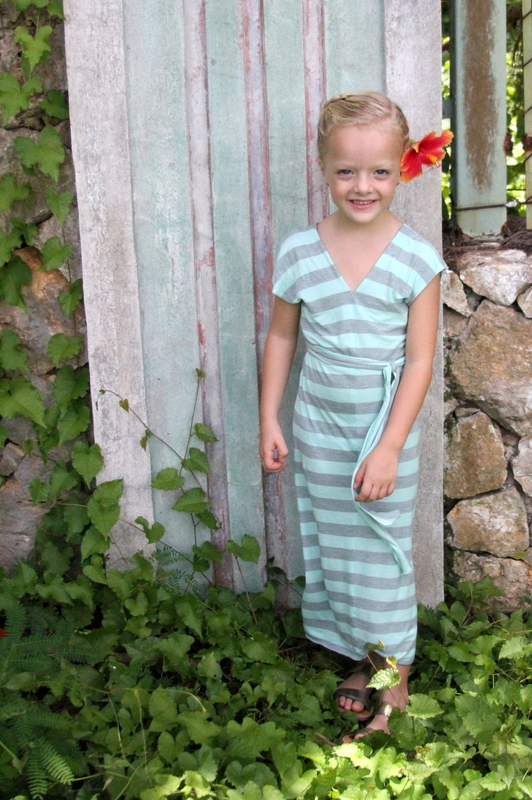 So cute and SEW easy! Thanks! You are the stripe matching master! Thanks Emily! Isn’t it funny to go through pictures after a photoshoot? Hilarious!